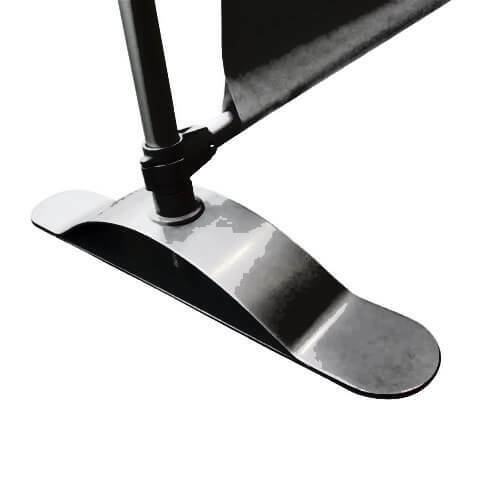 Height adjustable from 1000mm to 2515mm. 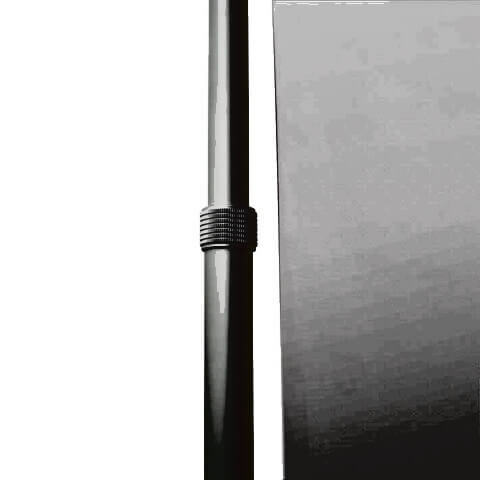 Width is also adjustable-1429mm to 2540mm. 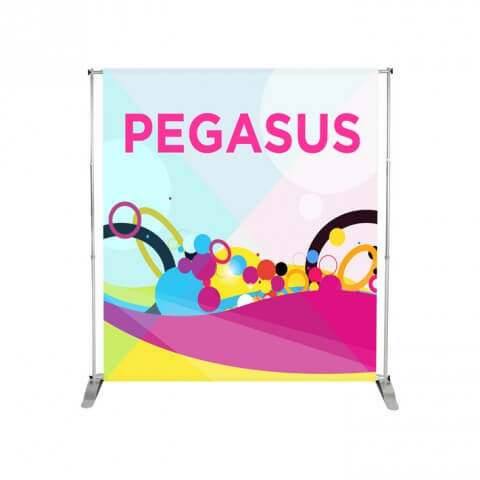 Pegasus banner is a great display concept. It very cost-effective and a best seller. 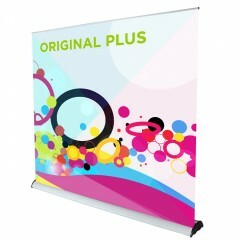 Pegasus is wide, tall, adjustable and versatile, it is really well made and light and compact to carry. 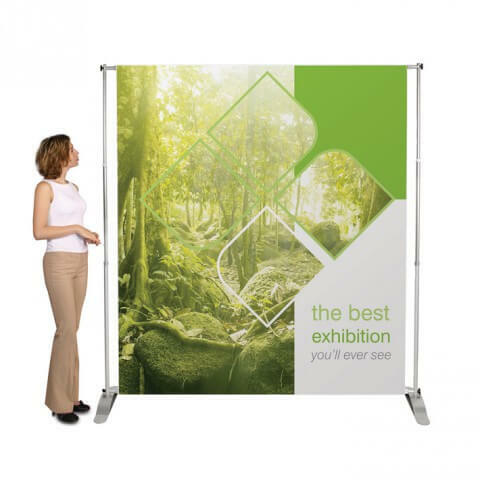 It is ideal for exhibition environments. But Pegasus is just as much at home in, say, a shopping mall. 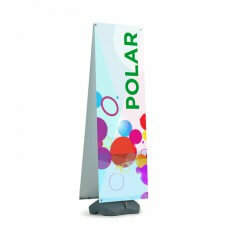 A high quality tension banner that can be used in so many ways. Pegasus is well engineered. Use it both indoors and outdoors. Surprisingly though it is still light enough to be easy to transport. 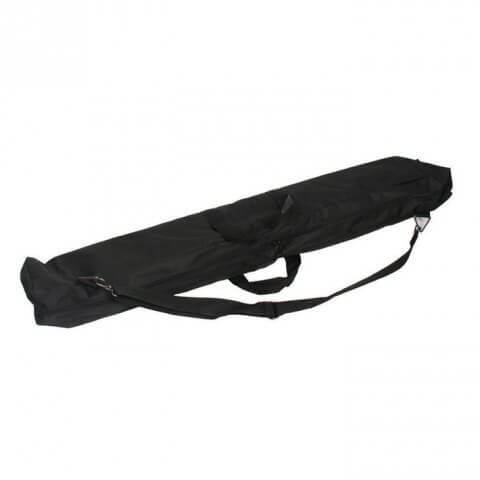 It packs neatly into its own carry bag with compartments. 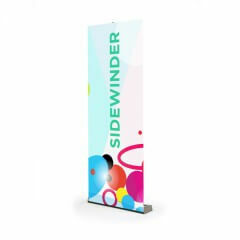 All in all this banner stand is a classic design. 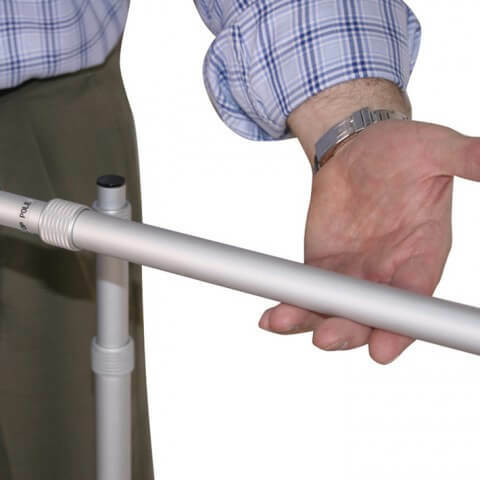 It has become a best seller both for it’s functionality and it’s price. Pegasus is flexible enough to adapt to all kinds of venue. 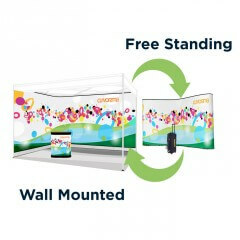 A very practical solution for many display applications. ARTWORK. Fresco’s experienced studio team adapts to your requirements. If you have artwork for your display just drop it into the Upload area on our website. We will check it free of charge. This makes sure that it will print right. Then we send you a pdf proof. We also supply artwork templates and give advice free of charge. Or. if you have brand resources – logos, images etc – we will artwork them up for you. We will send you pdfs until you are happy. This way you can re-use existing artwork. Or, if you need design from the ground up we are experts at designing for our products. Whichever way suits you, we can save you money. We are of course happy to quote. Pegasus variable width banner from Fresco on Vimeo.